Carl Martino, M.D., assistant professor of radiology (pictured left in photo below); Titus Sheers, M.D., professor of pediatrics and internal medicine (pictured right in photo below); and Thomas Thompson, M.D., clinical professor of orthopaedic surgery (pictured center in photo below); have been named to Cleveland Clinic Akron General’s Society of Distinguished Physicians. 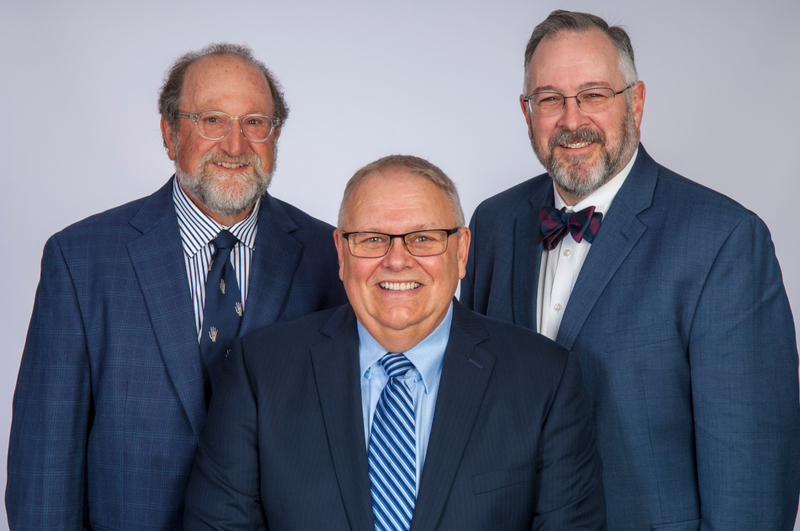 The three will be inducted to the Society as its 68th, 69th and 70th members on Friday, Oct. 19 at its annual Fellowship Dinner at Portage Country Club in Akron. Now in its 39th year, the Society of Distinguished Physicians honors members of Cleveland Clinic Akron General’s medical staff for their excellent patient care, research, medical education and community involvement.